No, they created a new thread asking that, but then admin merged it with this old thread. This does not depend on the star's size, only its temperature. Why only the temperature, though? Wouldn't a larger star be brighter, because it has a higher luminosity? 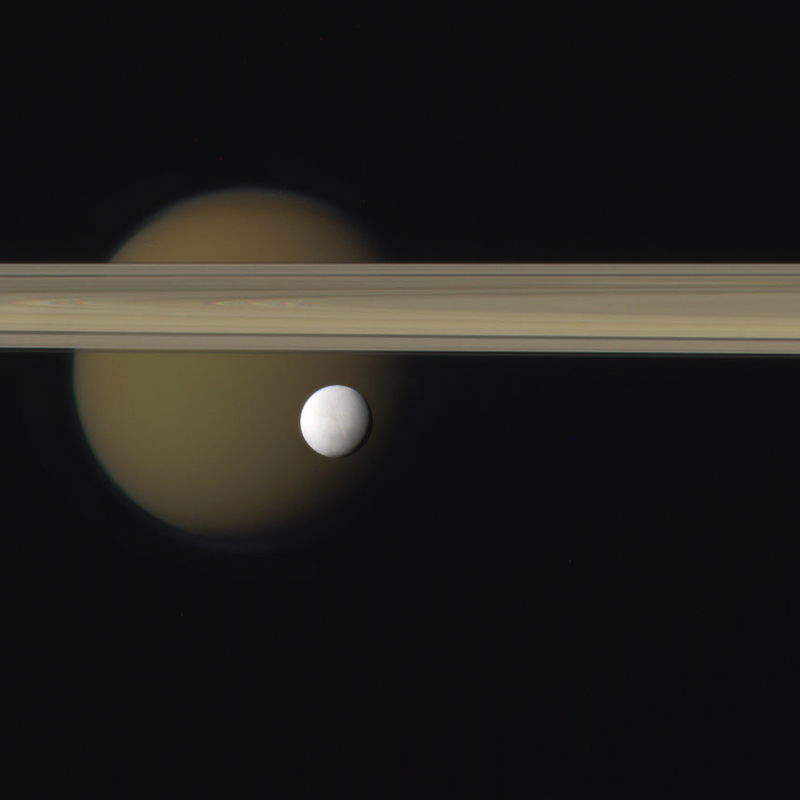 Titan may appear much brighter from a distance, but up close it looks much dimmer due to how little sunlight it reflects compared to how much it receives. This is the difference between luminosity and surface brightness. Why only the temperature, though? The reason it only depends on the temperature is that starlight is blackbody radiation. Every object in the universe, no matter what it is, emits a certain radiation based on its temperature. Us humans are cold enough that ours is invisible and lies pretty deep in the infrared (this is how heatvision can see humans in the dark). But if you warm something up to about 1000 degrees, the blackbody radiation will start to edge into the visible spectrum: if you heat something up this hot, it will glow a dim, deep red. The coldest stars, whether they're red giants or red dwarfs, are about 2000 degrees, at which point an object emits red light. The light they emit is essentially the same light that an iron poker held in a fire for a long time, or a river of lava will emit; there's simply more of it. Similarly, if you heat a rock, or anything else, up to 5800 degrees, it'll glow the same bright yellow-white as our Sun does. The TOTAL brightness is higher. But surface brightness is brightness per unit area. But I am speaking in terms of total brightness, such as how a planet at the same distance from a red giant as to an O or B type gets almost the same amount of light, and in fact in some of the B star systems seem to be brighter in SE, while planets should really end up being brighter in Red Giant systems. But what is the actual difference between surface brightness and luminosity, except the use of other wavelengths like infrared? Luminosity is the total amount of power (light) emitted from an object, over all wavelengths. In other words, if you completely surround a star with an imaginary sphere, and count up the total amount of energy that passes through that sphere per unit time, then the result is the luminosity. Surface brightness is the amount of power emitted per unit area. It is equal to the luminosity divided by the surface area. For an object emitting blackbody radiation (like a star), it depends only on the temperature. This follows from the definition and formulas. If luminosity is proportional to surface area and temperature to the 4th power, and surface brightness is luminosity divided by surface area, then surface brightness cannot depend on area. The areas cancel out. Which is the whole point of defining it that way. As for the second part of your question, you again need to specify what you mean by 'brightness'. Are you speaking of luminosity, or surface brightness? A larger star can be more or less luminous than a smaller star! It can have more or less surface brightness, too! Hotter objects emit more power per unit area, in proportion to the fourth power of temperature. This is the Stefan-Boltzmann's Law, a subset of Planck's Law. As determined how? Apparent magnitude of the star from that distance? If this seems surprising, remember the formula of luminosity. It depends on the size of the star and its temperature. Red giant stars are larger, but they are also cooler, and so they have less surface brightness. So you can have a situation where a particular blue main sequence star is more luminous than a particular red giant, because the higher temperature may more than overcome the increased area. For a real world example, compare Spica with Gamma Crucis. Yes, this means a planet orbiting a red giant at 10AU can receive less light than a planet orbiting 10AU from a blue main sequence. I'm just going to chip in here for a moment. Red giant stars in SE have always bothered me as well, but not because of the shape. It's the glaring lack of any surface detail whatsoever. (And by procedural detail, I don't mean the blob-like shape of the star (which is procedurally generated just like terrain), but the surface of the blob shape, which appears smooth.) 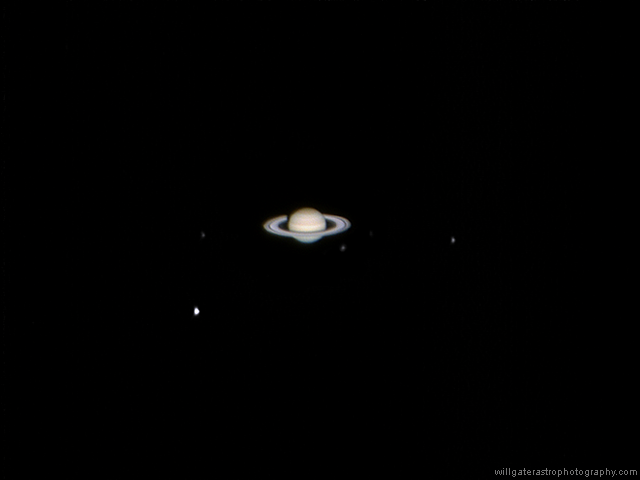 Other stars look fantastic; the closer you get, the more detailed the granular surface gets. Indeed, this is the case with almost much any other object in the game- stars, planets, asteroids, etc, all get more and more detailed as you get closer. This is what people expect in an engine where the main selling point (to use a marketing term) is its procedural generation. And when objects as significant as red giants lack any noticeable procedural surface detail, people are going to think something's wrong, since it is out of line with pretty much everything else in the game. I completely understand why people are reporting them as bugs, and I'd actually expect them to. AND... my suggestion: since gigantic stars have a lower density, there shouldn't be such a clear division between the surface of the star and the corona/space... this is just unrealistic. If there isn't going to be any surface detail, it needs to appear blurry. A blurry edge is necessary to give the appearance of a more nebulous structure. It helps to imply a lack of surface detail, making it less unexpected. Red giants don't have granules. Rather, the giant, featureless blobs are the granules, sort of. I'm pretty sure that up close, real red giants don't have much small scale detail. I doubt they even have spicules and the like. I expect there'll be even more 'bug' reports when red giants get their semi-transparent envelopes. "Help, I can see other stars through red giants and none of the graphics settings change that!" I think part of the problem might just be that red giants are very weird objects with a lot of properties that feel unnatural. A realistic simulation of them is always going to feel 'off' on some level as a result. When a star turns into a red giant, it's a gradual process. If SE represented a gradient of different states between a granular sun-like star and a blobby red giant, it will add to the realism. When exploring the SE universe, all stars we find are at different stages in their lifetime. After encountering some "in-between" stars, giant ones will seem much less strange. This would mean combining the code for normal stars and red giant stars. All the variables like age, size, mass, etc. would determine how granular or blobby a given star is. Isn't a sub-giant a star which is becoming a giant? The term "sub-giant" is actually a luminosity class: brighter than a main sequence star (of the same spectral type), but dimmer than a giant. 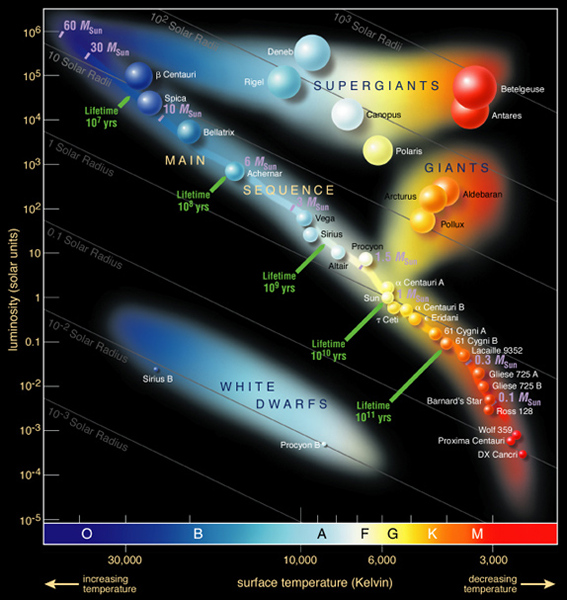 Stars generally evolve off the main sequence to become sub-giants and then giants. And then there are luminosity classes above giants as well, for the more massive stars. Right now it seems that SE uses the same star surface texture/pattern for sub-giants as for main sequence stars of the same spectral class, and then giants have their bulgy convection cells. It would be nice for sub-giants to have their own intermediate form, or better yet, map the scale of the convection pattern to the relevant properties of the star (requires more work). If anyone knows of good papers or review articles in these topics, e.g. Three-dimensional simulations of the upper radiation–convection transition layer in subgiant stars, I encourage you to post them.